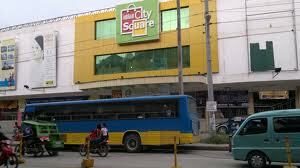 Island City Mall has redefined the concept of shopping, dining, and entertainment in Bohol. Upon its opening in 2004. It infused lifestyle changes in the community, brought shopping into one roof, made available diverse dining options, and became an energetic events venue where people can linger and enjoy various entertainments and live performances. With over 40,000 square meters of stores, Island City Mall has all the complete anchor stores and tenant shops consisting of top leading brands to provide great shopping pleasure. It has speciality shops, signature and fashion centres, service shops, amusement centres and other amenities such as an activity center and exhibit area. The Supermarket spreads out with more choices, and has the widest array of groceries, household items, and everything the kitchen needs. It has the freshest picks at the Fresh market with a variety of local and imported luscious fruits and vegetables; choicest cuts straight from the chopping boards at the Meat & Poultry Section; and the fresh catch at the Seafood Section. The Home & Fashion Department has the finest brands in fashion, carrying a wide variety of popular names like Levi’s, Lee, RRJ, Jag, etc. in the men’s, ladies,’ and children’s apparel sections. The galore of tenant shops like Penshoppe, Guess, Bench, Kamiseta, Nike, Fila, etc.., also makes shopping fun and exciting. The Furniture and Kitchenware Sections have the best and the finest furniture, kitchenware, and appliances for great home enhancement! Dining out is much more fun at the Food walk with the best of everything from delectable menus to thirst-quenching drinks and other desserts. An ideal place for a wholesome dining experience, The Prawn Farm, a must appreciated grill and seafood haven, tenders exceptional service where one can enjoy a wholesome meal in a very cool and accommodating ambiance. Popular fast food chains like Jollibee, Chowking, KFC, Greenwich, and Rai-Rai Ken, make food tripping a totally different experience. There are more reasons also to hang out with someone and sip anything hot or cold at the coffee shops like Bo’s Coffee, The Buzzz Café, and Coffee Dream. Wholesome events are consistently happening at the Activity Center, featuring local talents, or top national celebrities. Concerts with popular bands and other big artists are always held at the spacious Carpark, which lately was selected as the venue for the Visayan auditions of Pinoy Big Brother and Tanduay Band Concert, aside from occasional boxing bouts. One can also experience total cinematic adventure on Dolby Digital Surround EX in the four state-of-the-art cinemas at Screen ville. Movie patrons always enjoy the latest blockbuster flicks through nationwide and world premiere showings, and live boxing coverage on the wide screens. The kids and the whole family never miss the fun and excitement at the World of Fun, with all the fantastic games and kiddie rides to enjoy. The internet cafes at the mall also provide pleasure to everyone with cyber games and anything to surf on the net. Island City Mall is not only about shopping, it’s also about pampering oneself whether by stopping by for a quick makeover at David’s Salon or have a nice haircut at Jems Barber. One can also peruse around for new beauty care products at Body & Bath. Dining out at ICM is much more fun at the Food walk on the first floor, with the best of everything from delectable menus to thirst-quenching drinks and other desserts. An ideal place for a wholesome dining experience, The Prawn Farm, a must to visit grill and seafood haven, tenders exceptional service where one can enjoy a wholesome meal in a cool and accommodating ambiance. Popular fast foods chains like Jollibee, Chow-king, KFC, Greenwich, and Rai-Rai Ken, make mall food tripping a totally different experience. So here are some more reasons, to hang out with someone at ICM and sip anything hot or cold at the coffee shops like Bo’s Coffee, The Buzzz Café, and Coffee Dream. Experience total cinematic adventure in the four state-of-the-art Dolby Stereo and Dolby Digital Surround EX cinemas at Screen ville. Watch the latest blockbuster flicks through nationwide and world premiere showings in 2D and Digital 3D. And live boxing coverage is also aired occasionally on the wide screens here at ICM Mall Bohol. Wholesome events are consistently happening at the Activity Center, featuring local talents, and top national celebrities. Concerts with popular bands and other big artists are always held at the spacious Car park. You’ll never miss the fun and excitement at the World of Fun, with all the fantastic games and kiddie rides to enjoy. The internet cafes at the mall also provide pleasure to everyone with cyber games and anything to surf on the net, or by just updating your Facebook and Twitter accounts. Get Cheap Flights and Airline Tickets To Cebu Below! Giordano at Lower Ground, SM Seaside, City, Cebu, Philippines! ORO CHINA – SM Seaside City, Cebu, Philippines! National Bookstore, Sm Seaside City Cebu, Philippines! Krispy Kreme, SM Seaside City, Cebu, Philippines! Max’s Restaurant, SM Seaside Cebu, Philippines! Pancake House – SM Seaside City Cebu, Philippines! Greenwich, SM Seaside City Cebu, Philippines! Soi Restaurant SM Seaside City, Cebu, Philippines! The French Baker, SM Seaside City Cebu, Philippines! Shakey’s SM Seaside City, Cebu, Philippines! Recommend us on Facebook to your friends!